They didn’t have much to live for. Malcolm, Darren and Eddie, all had their own tragedies, their own demons to face. Malcolm was alone in the world, Darren might as well have been and Eddie, well, Eddie wished he was. The isolated rehab clinic was not an easy target for these opportunistic thieves, on the contrary, it revealed a dark past and an evil that was sown way before their time. The sterile corridors and soulless rooms swarmed with a depravity that they never imagined possible. 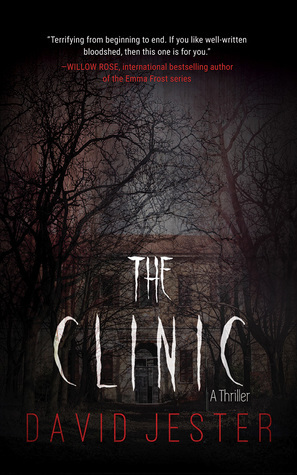 The Clinic is the story of a regrettable heist, of three delinquents who find a lot more than they bargained for. 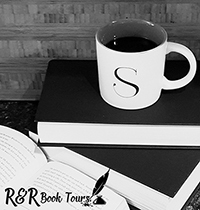 A gripping, thrilling and spine-chilling story of suspense, fear and pure evil. 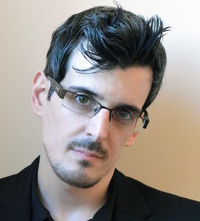 David Jester is a novelist and short story writer living in the North East of England. His books include the comedy, An Idiot in Love, and the gruesome horror, This Is How You Die. He is published by Skyhorse Publishing and represented by Peter Beren. Malcolm, Darren, and Eddie are unlikely friends. One night they are robbing a drunk man’s house and don’t find anything of value. Eddie tells the other two about a story he heard from this uncle about a clinic in the woods for the rich. They three friends decide to rob the clinic. But there is something wrong with this clinic; it’s not for the rich but the psychiatric hospital for the criminally insane. And the nuts are now running the nut house. The three boys have their own issues. Darren comes from a broken home where his mother, addicted to drugs and alcohol has hooked up with a man just like her. Malcolm only had his mother until the day she left. Now he is on his own. Then there is Eddie. He is from a middle class home and has no wants. But he wants the attention from his friends. There are small clues that this clinic is not what the boys think it is but they are too excited to score the lot. What they find is a bloody, brutal mess that the inmates have created in their takeover of the asylum. Think bloody slasher films where the blood flows like rivers. Soon the boys are on the run for their own lives. This is a bloody, gory horror stories for those that enjoy their brutality. The boys have clearly gotten in over their heads and look like they will lose them before the end of the night. I admit that I didn’t expect the ending. This is a good story but one that you will either like or hate. I could see several people not finding this their cup of tea. As for me, it was a good, gore filled read. I am curious to read other books from David Jester. I would like to thank Sky Horse Publishing for the opportunity to read and share this book.